Often referred to as Florida's Best Kept Secret, The South's Crossroads, and Florida's Most Relaxing Place, the community of Navarre is a nature enthusiast's dream. With four miles of beach front along the Gulf of Mexico and an incredibly close proximity to pristine Navarre Beach itself, the Navarre Beach Marine Park plus the Gulf Islands National Seashore, Navarre offers beauty unlike most places on Earth. Twenty-five miles east of Pensacola, it is the second largest community in the Pensacola Metro Area, and houses plenty of terrific shops and mouth-watering restaurants. A stone's throw from the Eglin Air Force Base and the Fort Walton Beach area, Navarre is also apart of the Santa Rosa County School District, which is rated the 16th best school district in Florida. With modern amenities, a centralized, convenient location, and a small town charm, there is a reason why the community of Navarre is such a wonderful place to live as well as an ideal place to raise a family. The white sands of Navarre Beach are such a sight to behold, much of Jaws 2 was filmed there. The neighboring community to Navarre, Navarre Beach is located on Santa Rosa Island. Living in this beach paradise gives one a beautiful feeling of a perpetual vacation on an island wonderland, as some of your neighbors will be lavish hotels and popular beachside bars. While the off seasons aren't nearly as busy business wise, even in the summer it is easy to get quiet time to yourself as Navarre Beach offers not only miles of white, sandy beach but the longest pier on the Gulf of Mexico as well as in the state of Florida. With unforgettable sunsets, unimaginably fresh and tasty seafood, and a friendly community, there's a reason why so many who vacation here end up becoming residents. With the convenience of Highway 98 being just the icing on the cake for these beach paradises, don't hesitate to contact us today and learn more about finding the life you've been craving. 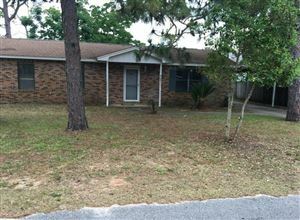 Pensacola listings last updated Apr 23, 2019 11:33:am. Navarre listings last updated Apr 23, 2019 11:21:am. That said, in my 20 plus years experience as a Gulf Coast real estate professional, I've also found that providing the very best service is essentially about putting my clients first. This means keeping myself accessible, being a good listener as well as a good communicator, and responding quickly to your needs. This "client first" philosophy has always been my approach and it requires me to continually improve my skills and ways of doing business.